I was recently approached by a leading industry consultancy group and was asked, ..."if there have been any major advances or developments in the field of electronics production, what are they?" For most I suspect that we've probably justified every expense carefully and only embraced emerging technology like x-ray and AOI once the guinea pigs proved it actually worked on the real production floor or our customers deemed it essential! 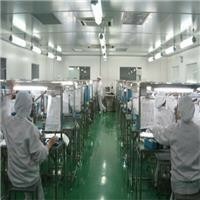 ...but by-and-large SMT production is still as simple as print-place and reflow, inspect test and ship, isn't it? I had to ask myself: Have there really been any "breakthroughs" in equipment or process and if so, where and which would be most significant? 2.) Where do you think the challenges still lie (mostly) un-addressed? Are the promises for a brave new tomorrow where equipment and process automation evolves at the frenetic pace of the PC still way off in the distance or are we seeing technology that will help us meet the challenges of manufacturing tomorrow? Should we be grateful or angry with the way this indusrty has responded with process solutions to meet our modern needs? Your comments?